Aqua Night Club is based in Abuja and it is one of it kind. The club caters to 4 distinct areas which seamlessly blend into 1 electric atmosphere. 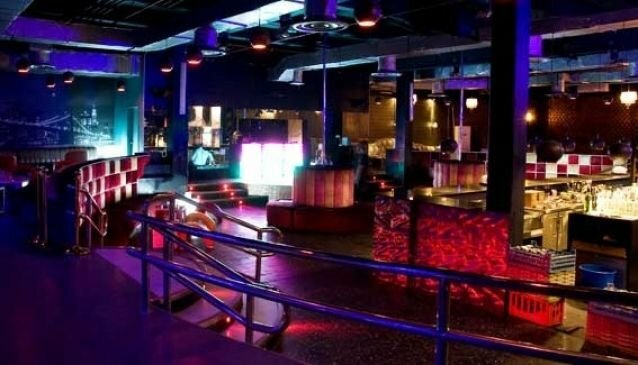 Aqua Night club caters to the intimate, inconspicuous, discreet and all night dancers alike. The royally stocked bar and it's island design enhances service and accessibility. Distinct decors grace the VIP & EIP rooms for our more discerning guests. It is everything you want from a nightclub. Aqua is the first of it's kind. A state of the art Nightclub; purpose built to make clubbing an all encompassing experience, beyond a mere drink and dance.